Lord knows I was dreading this episode for one single reason: there were going to be a lot of kids in it. Well, there weren’t more than six or seven, but it felt like a thousand. By general rule, I don’t quite like kids; they can be annoying, the acting is obviously not great and I don’t find them interesting, with few exceptions: the Harry Potter kids, the Goonies and the girl who played Maebh in this episode. 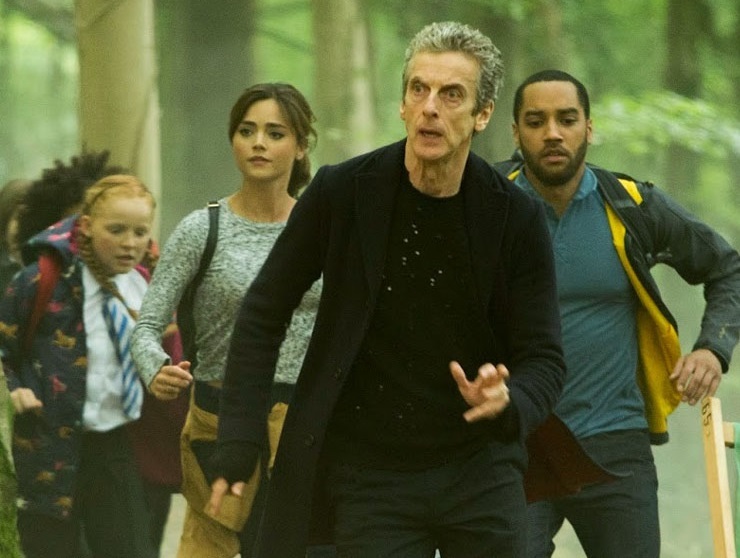 In my defence, the Doctor wasn’t happy to see so many kids running around the TARDIS either! And he couldn’t tell them apart, which is something that happens to me with every single person on this planet (no matter the age), so I have never felt more identified with the Doctor. I see this episode as one last standalone adventure before the big finale (oh no, is it almost over already? ), but one that contains many elements which added more character development. For starters, Clara kept making big decisions by herself, as the moment when she told the Doctor to leave them there proved. She has really grown up into an independent, strong character, something I wanted all along because I knew she had the potential. 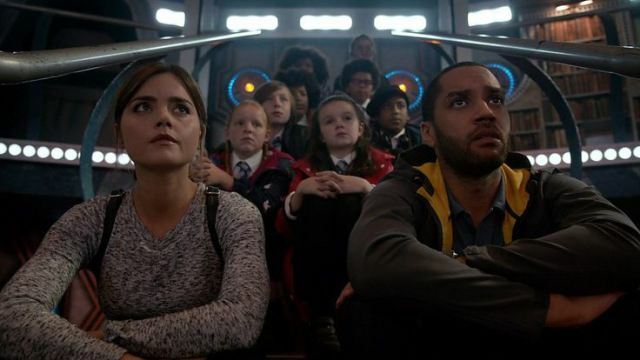 It was a defining moment for her, where she showed that she was more than capable of making choices, something the Doctor hinted in the episode ‘Kill the Moon’ (and which made her so angry). Another development was her relationship with Danny. We finally get to see that they are an established couple, and even though she has been lying to him about the Doctor and he doesn’t like it, Danny didn’t seem that much bothered in the end. In conclusion, I enjoyed the episode as a prelude to the big finale. 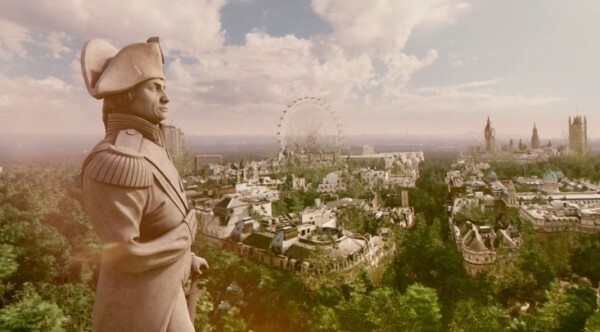 I liked the view of London as a huge forest. I liked the Doctor’s behaviour throughout it (I even considered that this new Doctor might have Asperger). I don’t like kids, but these ones had some funny moments and it wasn’t as disastrous as I thought; sometimes I just forget that this is technically a kid’s show, even though I don’t see it as such anymore. Also, I honestly hope that after watching this episode, more people will recycle paper. Someone please call Steven Moffat right now and force him to film four or five more episodes. Just enough until the Christmas Special. I don’t like waiting. -I know I am not the only one who thought this: Maebh was running like Phoebe Buffay. The Twelfth Doctor having Asperger’s? Yes, I can actually see that. Good idea.